“I will be flying to Singapore for the historical Summit. I’ll give whatever support is needed to my friends, @realDonaldTrump and Marshall Kim Jong Un,” Rodman said in a Twitter post. 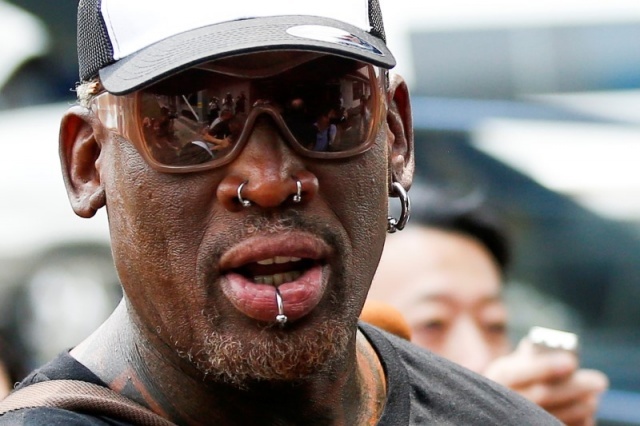 There was no indication Rodman would be involved in any official talks at Tuesday’s summit in Singapore. The White House did not immediately comment on his announcement. Rodman is one of a handful of Westerners to have visited reclusive North Korea and met with Kim, and he most recently travelled there a year ago as a private citizen. This trip, like the last one, is sponsored by potcoin.com, the crypto-currency provider for the legal marijuana industry. His earlier visits to North Korea included a basketball game that he organised, an event chronicled in the documentary film “Big Bang in Pyongyang,” which featured Rodman singing “Happy Birthday” to Kim, as well as scenes of inebriated and erratic behaviour by the basketball Hall of Famer.